Xiaomi Redmi 5A is the successor of Redmi 4A which was launched in India in March 2016. The newly launched Redmi 5A has similar specifications as Redmi 4A except for the design. It sports a unibody design with a Metal-like matte texture as compared to the polycarbonate body on its predecessor. 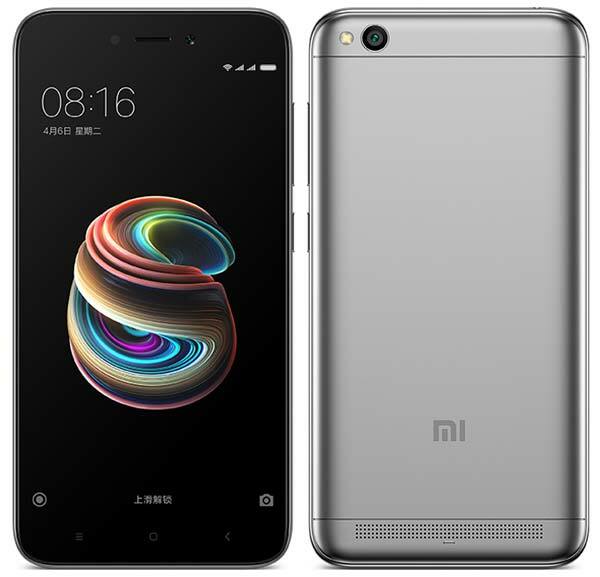 Although Redmi 5A includes the same 3000mAh battery which is present in the Redmi 4A, as per Xiaomi, it can provide up to 8 days of standby time with MIUI 9’s system-level power optimization techniques. To recall, Redmi 5A boasts a 5″ IPS display and fuelled by the Snapdragon 425 quad-core processor clocked at 1.4GHz along with Adreno 308 GPU and 2GB RAM. For photography, it includes the same 13MP rear and 5MP front camera which is present on the Redmi 4A. The internal memory offered is 16GB which can be further expanded up to 128GB using a microSD card. Other key specifications are MIUI 9, Hybrid dual SIM tray, Bluetooth, WiFi, GPS, VoLTE, and IR sensor to control compatible home appliances. Xiaomi Redmi 5A is offered in Gold, Gray, & Pink hues and available to buy in China at RMB 599 (Approx. ₹5,900). There is no official information about the launch of Redmi 5A in other markets such as India.